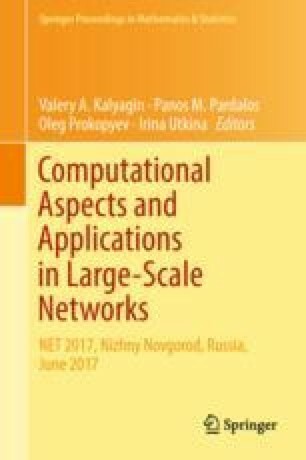 In the present paper, we propose a modification of the method of bi-coordinate variations for network equilibrium problems with mixed demand. This method is based on the equilibrium conditions of the problem under consideration. It uses a special tolerance control and thresholds for constructing descent directions and a variant of the Armijo-type line-search procedure as a rule of step choice. Some results of preliminary numerical calculations which confirm efficiency of the method are also presented. This work was supported by Russian Foundation for Basic Research, project No 16-01-00109a.